Camping el Molino is a family-run 1st category campsite located a short distance from the city of Pamplona, in a natural area alongside the well-known river Arga. 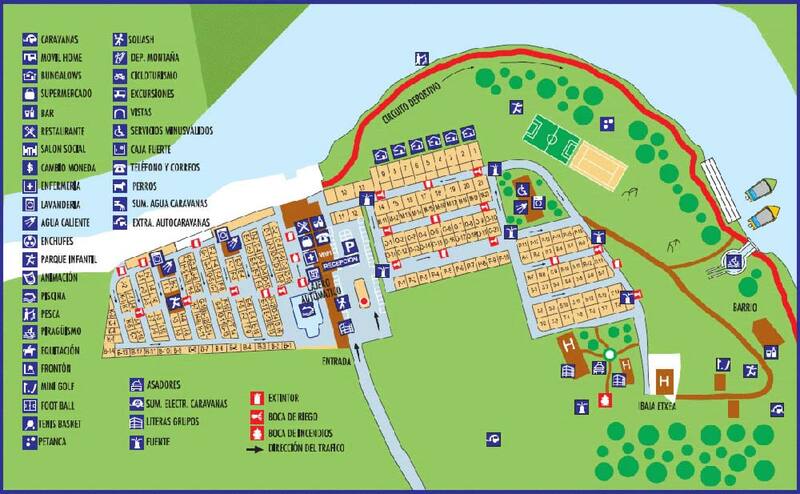 Being ideally located in the centre of Navarra, our campsite is an ideal base for visiting the most popular tourist attractions throughout Navarra. For more than 30 years now, we have been working to ensure that our guests enjoy their stay. Although the campsite was considerably extended and renovated in the year 2000, we still continue to make changes and improvements year after year. We offer free WiFi throughout the campsite. As a means of showing our respect for, and care of the environment, we have implemented an Environmental Management System and are certified to the ISO 140001 international standard. We can therefore say that we are socially responsible to our environment. Camping el Molino is the ideal place for a family holiday, with lots of kids' activities on offer, so that everyone can have a really enjoyable time. We have recently opened a heated indoor swimming pool with Spa, which is open all year round. So you'll even be able to relax in the water and enjoy watching the stars above! We offer a whole range of sports activities for all ages, whilst our reception staff will be only too happy to provide information on all the events and activities taking place in the area.